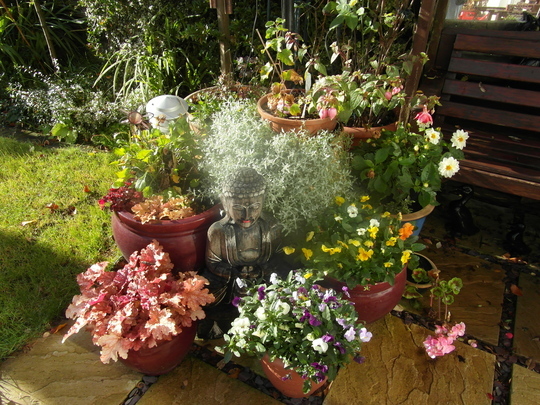 Lovely Helen, those cyclamen are great. 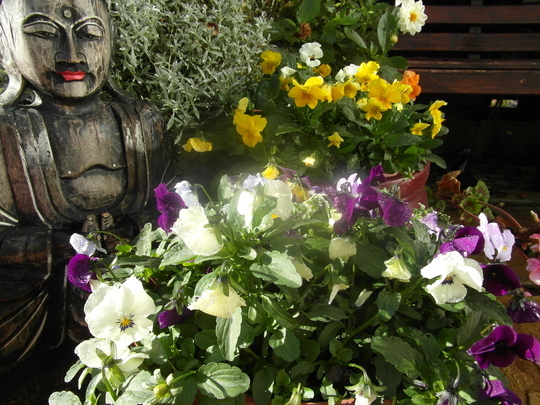 Do you live in a milder part of Scotland or is that a daft question? not a daft question at all .I live in Livingston which is between Glasgow and Edinburgh and we have a very mixed climate. 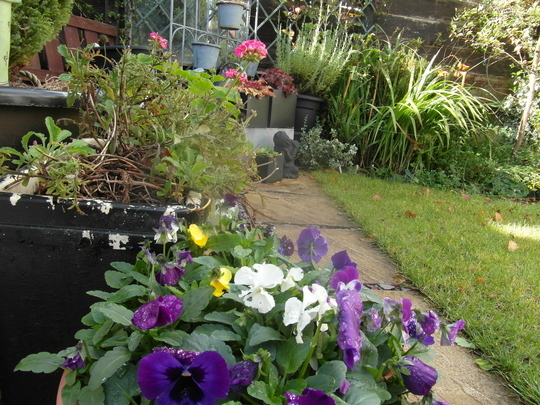 Garden is south facing and fairly sheltered by tall boundary fence which probably helps. 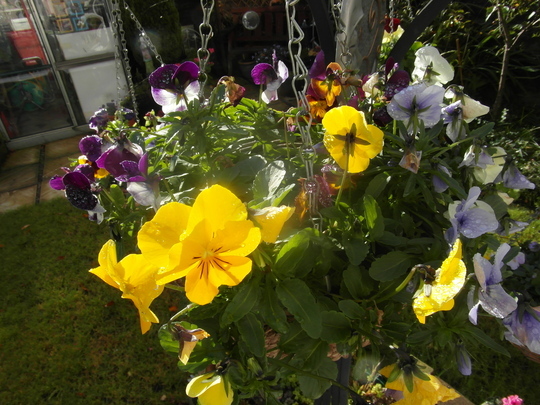 I was sure I could smell those yellow pansies! 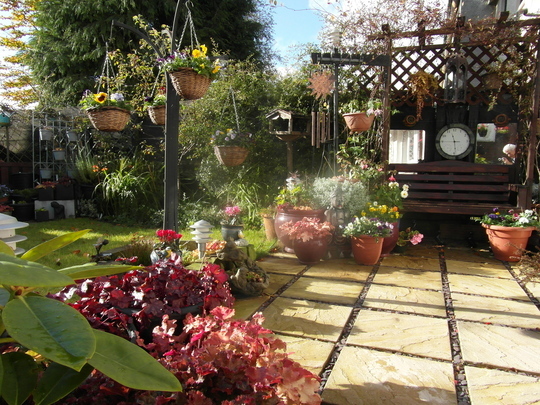 Great garden. 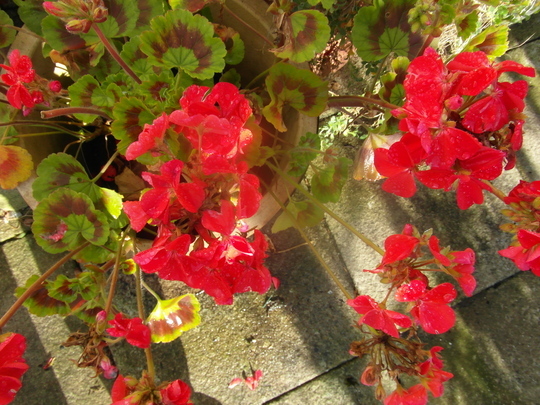 You have a nice variety of heucheras & some interesting containers for your potted plants. 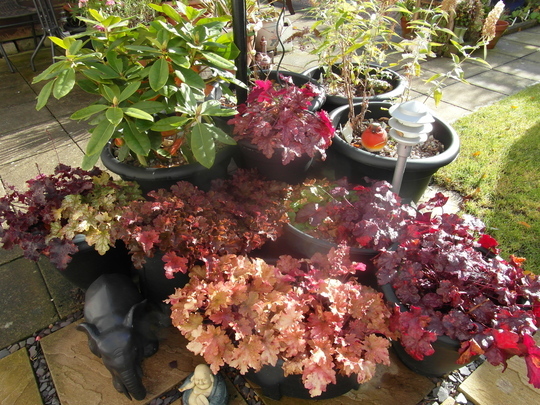 Lots of lovely colour and the Heucheras look very robust too. 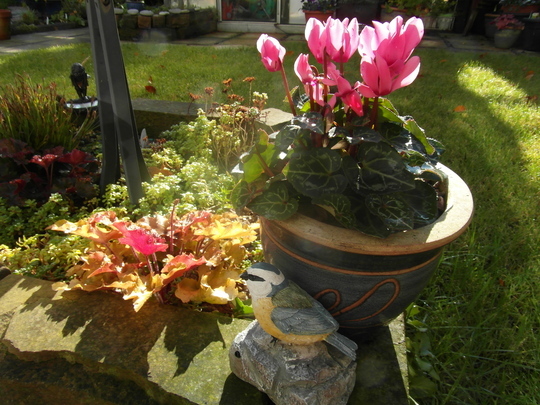 I can never keep cyclamen indoors, they just wilt on me. Better outside if not too cold. 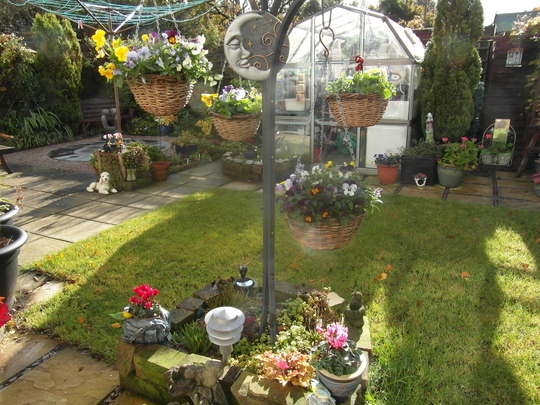 Your garden is wonderful for this time of year Helen and your weather has been quite awful hasn't it? 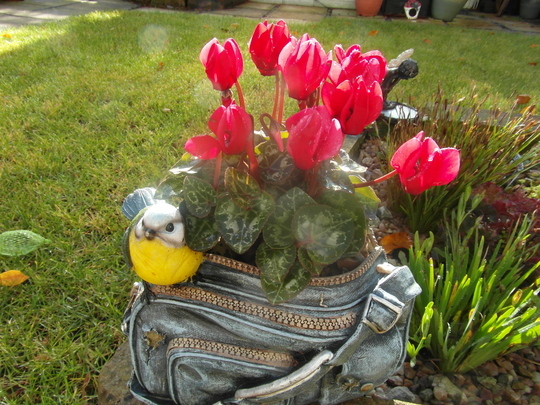 (rain wise that is) I love that Cyclamen in the bag-pot!